Milledgeville, GA – Main Street is excited to announce the return of the Hometown Celebration to downtown Milledgeville, and there is SO much to celebrate! In addition to being named a Great American Main Street City, this year marks 30 years of Main Street’s service to Milledgeville, building community connectedness through shared experiences. 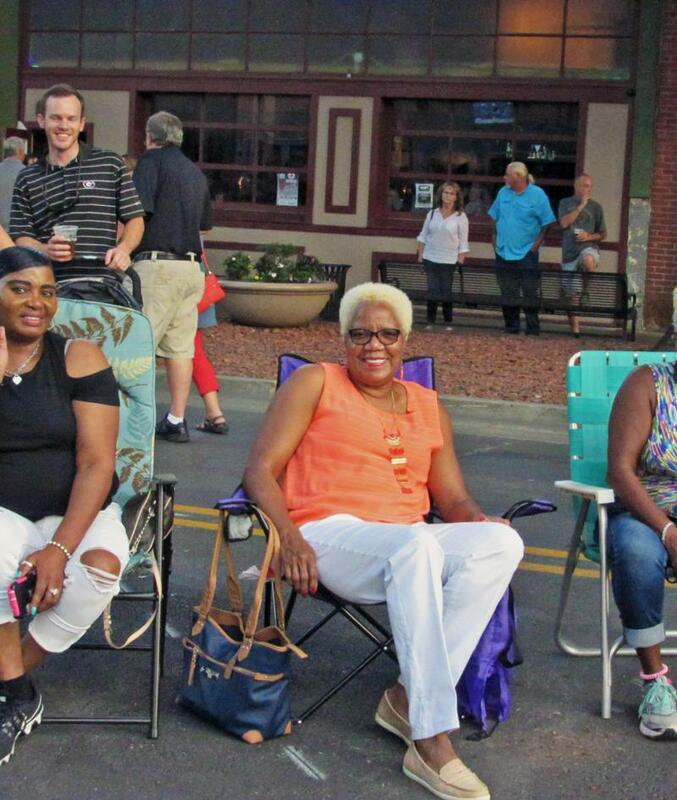 Main Street, the City of Milledgeville, and downtown businesses have partnered in shared support of this much anticipated community event, keeping it free and open to the public. 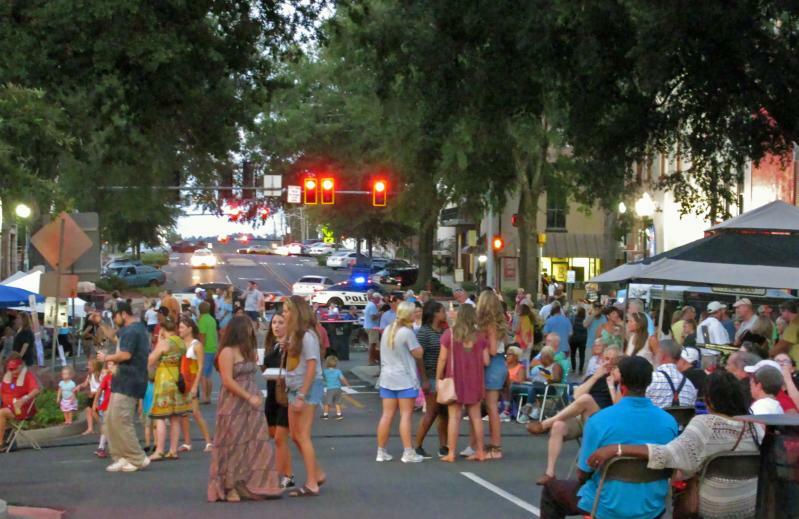 Introduced in 2014, the Hometown Celebration honored the City of Milledgeville Main Street/DDA earning award and designation as a national Great American Main Street City, as a community whose success serves as a model for preservation-based commercial district revitalization across the nation. Now in its fifth year, the Hometown Celebration has quickly become a community favorite event. On Friday, May 4th , from 6pm - midnight, the 100 block of West Hancock Street will be OPEN to pedestrians! New to Hometown this year… Embracing the Star Wars fandom holiday with which this celebration coincides, downtown will "Strike Back" and evade attack of the daily ho-hum at this event giving the community "New Hope" for galactic entertainment as the fun "Force Awakens." Costumes of the "First Order" are encouraged to channel your inner Jedi, Sith, Leah, Stormtrooper, or other character. Entertainment reigns in the downtown galaxy and includes a Chewbacca Sound-Alike Contest, Costume Contest, Ahch-some activities, intergalactic photo ops, and, of course… May the Fourth Be with You! Two popular bands will be performing to keep the fun flowing. Local favorites from past First Friday events form the band Fiancé. They will open at 6pm with their smooth, old school Motown jams. At 8pm, headlining band Stereotype brings their unique music flavor from the Augusta, Georgia area with high energy, party rocking music of top 40&apos;s hits, 90s hip hop, and everything in between. Milledgeville Main Street has issued an open call for event sponsors, participants and vendors! Sponsorships are a fantastic way to show support and get involved. Applications are also being accepting for arts & crafts vendors and community organizations to set-up at the celebration. The vendor fee is $25. There is no cost for civic organizations promoting their cause in exchange for providing an activity event-goers can enjoy. The deadline for submission is Monday, April 23rd , at 5pm. Applications with full details can be found at www.milledgevillemainstreet.com. For additional information, contact the Main Street Office at 478.414.4014 or dthornton@milledgevillega.us.